Termites are a scary insect. While they are not harmful to humans, they are certainly harmful to human construction. One of the worst things about termites is how they work like ninjas. They can burrow down deep inside your home without your even realizing they are there. When this happens, they can do severe damage to your home. Because termites can do so much damage, it is always best to turn to a professional termite control service to get rid of them. If you need termite control in Sandy Springs, turn to our expert termite control professionals. Our staff has been trained in every aspect of insect control. They eradicate termites in a flash and prevent them from coming back. You don’t want to risk termites doing more damage. Make sure to turn to a professional for termite eradication. If you need Sandy Springs termite control, you can count on our professional termite removal techs to do the job right. We can handle every pest control scenario imaginable. Our termite control techs go through extensive training that teaches them about every aspect of exterminating termites. They have the knowledge and expertise to quickly identify termite infestations and remove them. 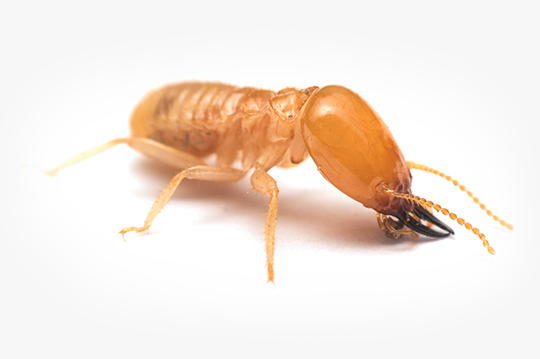 Our technicians regularly perform termite control in all kinds of residential and commercial settings. No matter whether you have a problem with termites in your home or business, you can count on our excellent termite control technicians to handle termites in your property. We handle all termite service calls large and small. Our technicians excel at working with care and respect around our customers’ homes. We are the termite control company you can trust. When you contact us for Sandy Springs termite control, we will dispatch an inspector to determine if you have any termites on your property. During the inspection, the inspector will draw a graph of your property and give you a price quote for the termite treatment. If you give us the go-ahead to begin treatment, we will send out a termite control team consisting of between two to four technicians. These termite control techs will first dig a trench around your home or business and drill down through the foundation. Using these drill holes, Termidor 80wg termiticide will be applied to your home. This is the best termite control product on the market. It will get rid of the termites completely so that they can no longer damage your property. One of the best parts of our termite control service is our annual guarantee. Our guarantee takes the form of an annual inspection. After we have treated your home for termites, we will come back each year to thoroughly inspect your property for signs of termites. This annual inspection is your safety net that keeps your home from suffering another infestation of termites. If you think there are termites on your property, it is important to take care of them as soon as possible. 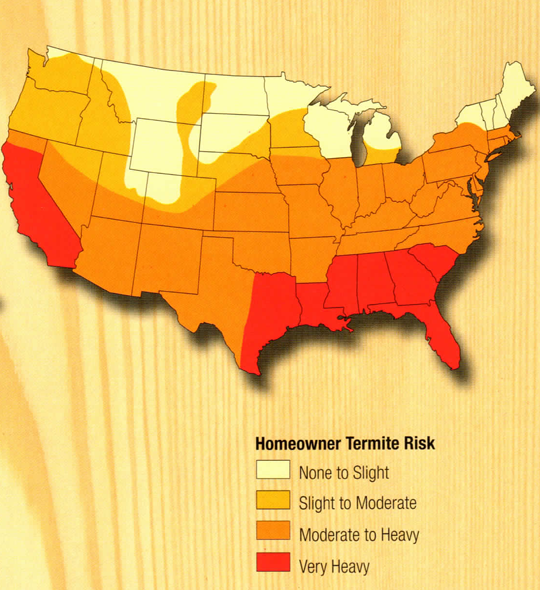 The amount of damage a termite infestation does when left untreated can be destructive. Contact us if you even suspect that you have termites in your home or business. Our topnotch termite control techs will get rid of them and keep them from coming back. In the midst of all termite colonies reside at least one king and one queen termite. The queen, who has the potential to live for up to 30-years, spends her entire life reproducing. The termite queen can quickly reproduce and will lay thousands of eggs within a year’s time. These eggs go on to hatch into what is called nymphs. The nymph stage is the time when termites develop into different castes. Some nymphs turn into workers and soldiers, while others develop into reproductives and supplementary reproductives. Termites that develop into workers are both blind and wingless. Their jobs in life involve building, repair, foraging for food, and providing care for others in their colony. When you encounter termites in your wood, they are most likely workers. Termites that are soldiers have the main purpose of defending their colony. They are wingless, blind, and unable to reproduce. A termite that becomes a winged reproductive can look forward to life outside of the colony. Once they swarm, they will pair up with either a male or female and then go forward to start their own colony. If the colony needs an expanse of growth, these termites have the ability to increase the population. They are also on hand to replace the king or queen if they happen to die.